Thanks for the quick response, I hadn't thought of applying the Ted Woolsey patch afterwards. Now this is just fantastic However, I guess this means that there's no value in me reporting any music bugs/glitches since I am not running "vanilla"? I always appreciate bug reports, but just specify if you make a report that you're running another patch alongside and expect that your report might be lower priority just because it'll be more work to test. That said we've done some more in depth testing and found that so far these specific patches don't touch any of the same code as I do, even if you're using the one with the add-ons and the music player and everything, the closest he ever comes to an area of the ROM I'm touching is still a very healthy 16kb away. So I'd be really surprised if you actually find a bug that's unique to this combination. Awesome news. That opera timing bug has (tentatively) been fixed. It still desyncs a bit but it's absolutely acceptable imo. This means that the next version of the installer will ship with the audio files and patch to have a confirmed working Opera with MSU-1 audio. EDIT: A properly timed version of the OST opera has been provided. As such, disregard what used to be here. OTH versions will be selected if you choose OCR, OCRAlt, or Developer's Recommendation, otherwise OST will be used. The OTH versions have to be heard to be believed. They're far from perfect but just hearing the characters actually sing their lines is mind blowing. I have to do more testing on the installer because I've made a lot of major changes to its architecture, but expect a release some time in the next couple of weeks. With all the changes this release will bring, this is going to be the most major release since we hit open beta. I'm also going to look into the sleeping/event bug. No guarantees that'll make this new release unless the fix is simple, but it's in my queue. I have to give a huge shout out to Github contributor edale2 for his work on the audio end of things. I am very much not an audio editor, or at least if I am I'm a rank amateur. His work has been exceptional. Another bonus in the new installer will be support for MSU-1 replacement of certain sound effects that are played on the SPC as loops during sections with no music. At the moment this includes the raft scene with Banon, and there's work being done on the seashore wave sound effects from the world of ruin opening. Both of these are essentially original works (using PD sound effects as a basis) by edale2. In addition, he has also provided a few Black Mages tracks that will be added to the Other selection, including their versions of Dancing Mad, Decisive Battle, and the Battle theme. In addition, he has provided, usable in the Other section, a version of Phantom Train that is the SSC track with a train effect, similar to the one present in the original and OCR mixes. You'll have to choose a custom selection to enjoy many of these options, though I'll be turning the new sound effects on by default in the developer selection, using edale's modified version of the SSC phantom train track in the same, and am on the fence on maybe switching to Black Mages for Dancing Mad. If/when you find a bug, swap in a ROM modified with ONLY the Dancing Mad IPS, and load a save file (NOT a save state) before the bug and try and reproduce it. If you can reproduce the bug with just the MSU patch, report to Insidious. If you can't reproduce the bug, swap to a copy of the ROM modified with the other IPS patch you were using, load a save file (again, NOT a save state), before the bug and try and reproduce. If you can reproduce the bug here, the bug is with the other patch, and should be reported to that patch's author. If you still can't reproduce the bug, swap in a ROM with both patches, and try and reproduce. If it's reproducible here, then there's probably a conflict with the patches (it might be emulator related). You can use this tool: https://www.romhacking.net/utilities/1080/ to check if 2 IPS patches are compatible with each other. I've already found a few bugs in Dancing Mad, and one bug in the Ted Woolsey patch so far this way. Oh, a nice bonus of the Ted Woosley patch? The optional music player will actually play the MSU-1 PCM files, not the SPC audio. Entirely self-taught, mostly (anything PCM related) since I started helping you a few days ago. Honestly, the quality is more a result of my OCD, lol. I've had a busy few days, haven't I? lol. I highly encourage people to try out the new OTH Decisive Battle (The Black Mages' version), It was a pain in the ### to loop decently, but the end-result is definitely worth it. For a bit more clarification, the OST and OCR Phantom Train songs had the "pulling away from the station" sound effects only during the intro, I added train sounds (just riding on the tracks, no whistles or anything like that) to the entire SSC track. It's a thing of beauty now, really helps set the mood for that part of the game. I also fixed the timing of a few things, such as the OST ending, so things line up better in-game. and am on the fence on maybe switching to Black Mages for Dancing Mad. Do it! Unlike the OCR track, this one actually sounds like Dancing Mad! A video of the Opera, fully working and voiced! The new installer has been thoroughly tested at this point and seems to be working just fine. I'm holding off on a release until we have one more track uploaded (edale was working on the seashore sounds for the WoR and I've already got the installer pointing to that, so I don't want to upload a copy that will 404 on a track we've not got done yet. ), but everything seems to be ready for release otherwise! Keep watch on this space for the Final Beta release. The only things left after this for a *final* release are the still-elusive fading support and fixing the two remaining minor bugs to do with event handling. Any release after this one will be either a hotfix to the Final Beta (only if necessary), a Release Candidate, or the Final Release. We're on the home stretch. I've got a few potential sounds clips picked out, I need to loop and convert them to test in-game. May even play with slowing the tracks down slightly to help sell the feeling of desolation you're supposed to feel at that point in the game. I should have a few potential tracks to you if not tonight, then tomorrow. Oh, and a note about the Ted Woolsey patch. There's currently a bug in the ending. After the line at the end of Relm's ending "STRAGO: RELM! How can you be thinking about pictures at a time like this?" The game needs player input to advance the text. If left too long before hitting the button, it could glitch the game into a black screen. The only way to keep the ending theme synced to the audio is to be ready to advance the text as soon as it pops on screen. Author of the Ted Woolsey patch has been informed, and it should be fixed in the next patch update (he's working on hammering out a bug in his namingway patch for FFIV atm, but this is next on his list). I'm personally keeping compatibility pegged in my head at 99% until that bug is fixed, since it de-syncs the audio. A user's first five posts are supposed to need it, but our forum software decided for no apparent reason not to assign the 0-post-count group to new members. That *should* be fixed now to prevent that from happening again, but with SMF one can never be certain. Had a more vital bug fix come in re: the Dancing Mad tracks and am going to do some more thorough testing on that and a fix for the "no music after sleep" bug before the Final Beta release, so that may take a bit longer, but it still should be out soon. If you've seen Insidious' demo video with the fully-working Opera... Heads up, I did some more work on the Aria. It's so much better now, it gave Insidious chills when he tested it out, and I've gotten chills every time I've tested it out. Seriously, the emotional impact of this thing now is insane. I did convert the OST Opera a while back as well, since the timing wasn't an issue like Insidious thought it was (the player-influenced timing is an illusion; everything happens at a set pace, and every event starts at the exact same timeframe, this is especially evident if you finish the dance fast enough, and have to sit around for a minute waiting for the next set of lyrics to start). But I strongly encourage people to go with the OTH option for the Opera in the installer, even if going with the OST for everything else. Quick status update, we're doing test playthroughs of the whole game ahead of this release. edale2 is doing a playthrough where he does a bunch of the optional content, I'm basically doing a straight run (not a speedrun but at the very least an attempt to get through the base game quickly). I'm about to finish the World of Balance, he, since he started a bit earlier and has had more time to put in, is about halfway done with the World of Ruin optional content. After finishing this if we don't encounter any further bugs I'm going to test the installer one more time and assuming *that* is still in perfectly working order I'm going to release the final beta. * "Select a Scenario" screen will play whatever MSU-1 track was last playing upon loading, going to silence after entering and leaving the menu. This is due to a workaround put in place to successfully fix a *number* of other bugs, involving using the otherwise unused silent Track 51 as a way to flag my MSU-1 code. This is the only spot in the game we've found so far where Track 51 is actually called, and it therefore mistakenly trips the flag. I am trying to figure out how to determine (specifically, where in memory this is contained) what map is currently loaded in order to do a workaround for this and another unrelated bug that's also situational to the scene. * Victory theme may play on loop after leaving South Figaro during Locke's scenario. I got this bug *once* on RetroPie's lr-snes9x and was unable to get it to reproduce on any emulator (including lr-snes9x) since. Unfortunately, being unable to reproduce it means I'm unable to test what might be a fix, and as I'm unwilling to put untested code into this project the "fix" is being left out. Please please *please* get me a savestate if this happens to you. * Fading still not implemented. We have one last bug to nail down, the "Select a Scenario" bug. I've made a fix, but the nature of said fix is experimental and hacky so it's going through another (much shorter) round of testing before I'm confident putting it in the final beta. If we can't definitively nail down the fix as not breaking anything else within the next week, I'm going to leave it out of the final beta as the issue is minor and the potential for problems is fairly major. There's also some minor optimization I can do that I'm going back and forth on whether I should try it out before the final beta release, as it shouldn't break anything but it affects 7 vital lines of code in various important sections of the program, so I'm iffy on changing something that vital. As I suspected, there are problems with that last fix (it's only working in one specific scenario out of 4), so the final beta installer will be packaged without it. I'm currently in testing of the installer. * "Select a Scenario" screen plays last MSU-1 track upon load. Will be fixed in a coming hotfix. * Fading not yet implemented. Will be fixed for final release. * Ability to load a preset on the custom track selection screen. * Multiple cosmetic improvements to the installer. * Fully working opera with (mostly) synced voices! * Many new tracks from suggestions and contributors! Upcoming hotfix releases may also include new tracks and potentially a changed "sid selection"/"developer's recommendation" preset (I need to go through and test the OCR2 and new OTH tracks against my previous selections). Just so people are aware, once I've fixed the remaining bug, made a few investigations into the game's volume system, and handled some suggested audio changes I am likely going to take at least a few months vacation from this project as there are other projects I'm working on that also deserve my attention. A minor audio-only hotfix was done today, with even better timings for the Opera, fixes to the OST opening, a new OTH version of Searching for Friends, and preparation for adding a whole new source, the "Final Fantasy 6 Acoustic Rendition". Credit for all these new audio tweaks is due to edale2. No new installer out yet, though one is not necessary just to get the Opera and OST fixes, as the installer will automatically download the fixed tracks. Also, there were some DNS issues with the server I host the audio on. They should be resolved now, but if you're having any issues with the installer this is probably why (sometimes changes take a while to propagate with DNS). Bit of an announcement to make. With edale2's help we found and looped two entirely new sources of FF6 remixes/arrangements. These are excellent and provide an alternative for many tracks that otherwise only had OCRemix and OST tracks available. Work is underway adding these two new sources to the installer. A special thanks to ChrystalChameleon for giving their endorsement and giving edale2 high quality MP3s of their tracks to work with. Once I asked ChrystalChameleon for permission, and explained what an MSU-1 mod was, she couldn't get the tracks fast enough, lol. Didn't want to wait for the tracks to make it into the installer, so got her a link to her converted tracks as soon as I was done converting them (and about 5 minutes before I sent the files to Insidious). Less than an hour later she was more than 1/2 an hour into the game, lol. Definitely the most enthusiastic response I've gotten to asking if I could convert someone's remaster (though I can DEFINITELY see the appeal of hearing music you've remastered yourself in-game, I kinda vicariously get that with the music I've converted). One thing of note with FFAR, it has every* character's theme, and also has "Balance is Restored" which is the first half of the ending. This means that if you use all the FFAR character themes, as well as the FFAR ending... The music that played in the ending for each character's theme will actually match what you've been listening to throughout the game. The second half of the FFAR Ending is the second half of the OST ending. *Mog's Theme was actually not part of the album. So I took the chunk of Mog's Theme from Balance is Restored, and converted that into a separate track to use as Mog's Theme. This means Mog's Theme isn't as accurate a remaster as the rest of the character themes, still good though. ATM the only other Album that I plan to convert (unless I find an other really good one) is Dracula9AntiChapel's remasters. He's actually completed a remaster (ALL tracks), but asked me not to convert that one. He wants me to wait for him to finish his new version of the remasters, and convert those. His new version is only about 1/2 done atm, and will probably be several months until it is finished; don't expect it to be included any time soon. *edit- It turns out FFAR actually is missing one character's theme. It doesn't contain Setzer's Theme unfortunately. So I made something. This is the first mod I've ever created. This is a patch meant to be applied on top of the Dancing Mad MSU-1 mod. This patch re-introduces 4 songs that were created for FFVI, but cut from the final game without removing any of the existing tracks. 2 of the songs are WoB only (WoB Mobliz, and WoB Nikeah), and 2 of the changes are available in both WoB and WoR (classroom in Narshe, but not at the very start of the game, and non-occupied South Figaro). I wasn't shooting for a Christmas release when I started work on this, but that's how the timing worked out. Enjoy! This patch might be offered as an option in the Dancing Mad installer at some point. *edit- Mega link updated. Changed mod's name from "Alternate Tracks" to "Cut Songs Restoration" to better reflect what the mod actually does, no changes to the mod itself. Just letting people know, the server hosting the PCM files may be offline for a period of a few hours (up to maybe 5 at most) over the next couple of days, as I'm updating all of my servers to counter the recent Intel CPU security vulnerabilities. Backup mirror has already been updated so the installer should still work. This is a modified version of Madsiur's FFVI Music Player patch, or more accurately 2 different modified versions of his patch. Dancing Mad version: The 'exiting the main menu' music resume code from Madsiur's original patch has been removed, as it caused a conflict with a bit of code in the Dancing Mad patch that served the same function. Some of the tracks have been adjusted to match changes made in the Dancing Mad patch (things like getting all 4 parts of Dancing Mad to play the PCM tracks and removing the SPC versions from the list). 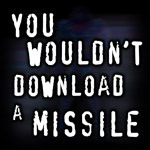 This was created using using the code from the Ted Woolsey version of the patch to maintain full compatibility with the Ted Woolsey Uncensor patch. Cut Songs Restoration version: Same as above, but with the 4 songs from my Cut Songs Restoration mod added into the song list. Menu: The music player will show up on the main menu screen. Config2: The music player will show up on the bottom of the first page of the config screen. NOTE: If installing Dancing Mad + Ted Woolsey Uncensor + the 'Menu' version of the music player, patch you MUST apply the music player AFTER the Ted Woolsey patch, not before. This only applies to the main menu version (this is due to a compatibility issue with the 255 clock mod included in the Ted Woosley patch). A big thanks go out to Madsiur for coding this. This is likely to be added to the Dancing Mad installer at a future point. A pretty major update to the installer is coming in the next hotfix. This should be available sometime in the next month, depending on my available time (it's nearly complete already). Other big changes (honestly the lion's share of the work) are under the hood and have already been completed. The installer now uses a much easier to maintain data format, enabling me to add new sources and mirrors with ease. I've added an Amazon AWS S3 store as a emergency fallback mirror. I would please ask anybody downloading the PCM files directly to *avoid* this mirror as I will be charged for bandwidth used, I want to leave it as a way to get the data guaranteed in case any of my other mirrors, for which I'm not charged for bandwidth usage, go down. My recommended selection of songs (the Developer's Recommendation, or what's always been referred to internally as the Sid Selection) has also changed drastically for the upcoming version. If there's demand, I might provide a RAR of the old recommended PCMs for those curious or who don't like my new choices. I just wanted to say thank you again. I'm sure I'm not the only one keeping a close eye on this thread - we really appreciate this! Hotfix One is now out, with all the above mentioned features! I don't need to big it up any further here, I don't think. Grab it here! Only a minor bug or two and the fading support in the way of a final release. Hotfix Two is now out. This is a minor patch dealing with some download/install issues. Notably, the saika mirror has been removed as it's been dead for a while, and a 15 second timeout was added on initial connections. Also, on the backend, an issue with the Amazon Web Services mirror was fixed. Available here. I just used the installer for SD2SNES. I had initial problems with my virus protection not liking it. But once I was past that I had no issues. I did it twice, once on a Vanilla rom, and then I did it again and added the TWUE which both appear to work great. I then patched Brave New World over the vanilla rom and it also seems to work. I'm unsure about all the looping and fading that you are looking for but I can assure you upon initial inspection this patch works on SD2SNES. it may take me a while but I will report back with my opera findings as soon as I can.